companies in Early War Flames of War. I have chosen these guys also because my 4 years stay in Tunisia (1982-1986) and my close relation to French culture. Let's see how Compagnie de Combat can be played and how it is used in Flames of War game to beat your opponent. Here you can see Steve's experience playing his variant on WWPD forums. I don't like in this variant lack of smoke bombardment and I am usually prefer smaller unit of reconnaissance as I prefer to hide them because of their weak armor. Concerning size, 3-4 Panhards models seem to work better for me. Wow! 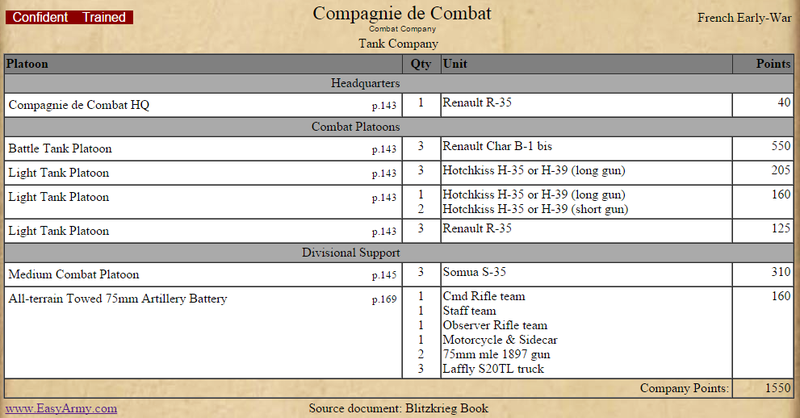 I love this as I love Char B1, but I am still missing more platoons... Also except Panhards all tanks in company are slow, which can cause reaching enemy objectives too late. More you can find in WWPD report here. 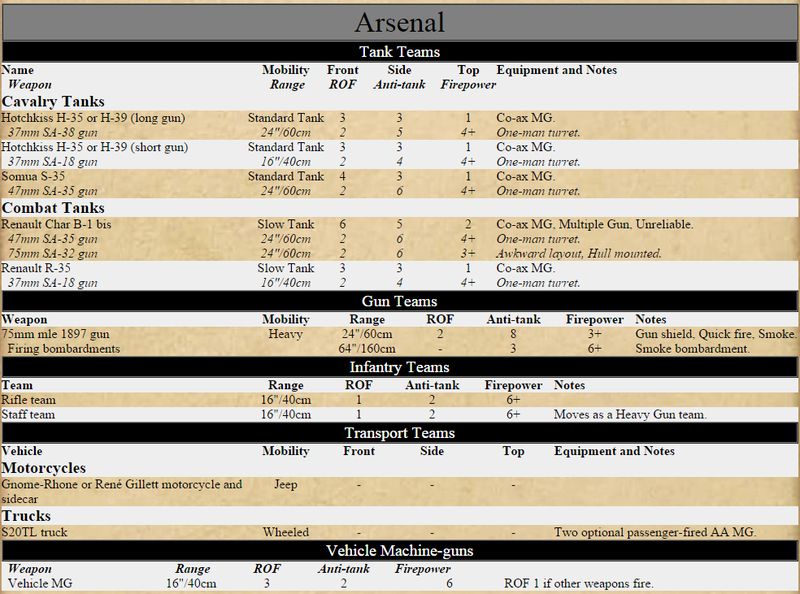 This version I have found as army list from Call to Arms 2014 tournament. More you can find here. Personally I would like to play De Gaulle as I own him inluding R-35s. What I am missing are 105mm guns and 47mm SA-37 to paint. I believe it is worth of trying, although I hate R-35s. ;-) I definitely love 105mm artillery stats and smoke. Is it worth to play just 2 of them? I will find out by testing laters maybe. not need to re-roll successful To Hit rolls." I will keep you updated, how successful I am in playing Version D. First chance I have this weekend in Prague at our mini-tournament. Great review. I was looking for articles on French Compagnie de Combat & to be honest there are not many on this topic. Thanks for uploading it really helped me in my research. Indeed they are the strongest ones amongst all others. However I didn't know many facts or figures about it but I think that this post really helped me get some of them.